(AP)–President Ilham Aliyev said Saturday that Azerbaijan was increasing its defense spending in response to the relocation of Russian weapons from Georgia to Armenia. 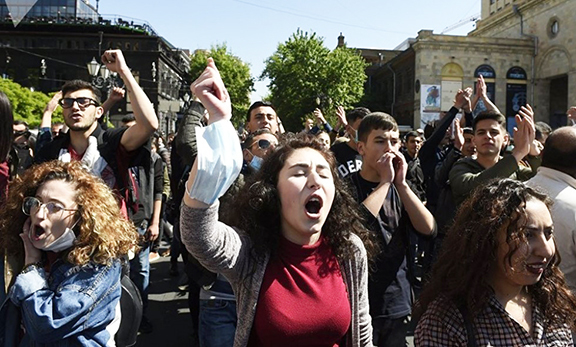 Even though Moscow said weapons would remain under Russian military control and would not be turned over to Armenia–the redeployment "requires adequate steps," Aliyev said in a speech before military school graduates. "We have undertaken such steps–having increased our military spending–which will continue to grow in the future," Aliyev said. He said Azerbaijan’s military spending was set to increase from $175 million in 2004 to $300 million this year. "Our army is the strongest in the Southern Caucasus," Aliyev said. "We have achieved superiority and will continue to strengthen it." Russia’said it had redeployed the weaponry to Armenia under pressure to speed up its military withdrawal from Georgia. Despite Russian assurances that the move wouldn’t destabilize the region–Azerbaijan has remained strongly critical of the relocation. Aliyev also said Saturday that Azerbaijan will also work to strengthen its relations with NATO. Azerbaijan has taken part in NATO’s Partnership for Peace program and it has presented a plan that would further foster cooperation with the alliance–"bringing Azerbaijan-NATO relations to a new level," Aliyev said.